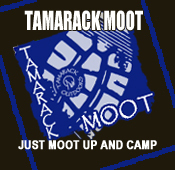 Flexible online payment option now available at Tamarack Outdoors. 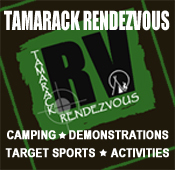 Tamarack Outdoors are pleased to announce a new partnership with leading online finance provider: Omni Capital. Using Omni Capital's "instant decision" technology you will be able to apply for credit online when you spend £280 or more with us. If you decide you would like to pay using credit, you will have a choice of Interest Free payment periods or low interest rate periods. The finance is arranged on the full price of goods in store so cannot be provided on Discounted prices or any Bundle prices we have. 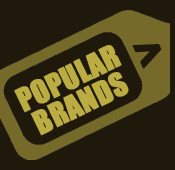 Find the products that you would like to purchase and either call us on 01995 601011 or come in to the store. If you choose to finance your purchase outside of the store please call us on 01995 601011 where we can agree with you the package that best suits you. we will then email a link to you where you will be directed to a secure application process on Omni Credit's servers. If you are approved for finance you will need to make your deposit payment via credit or debit card (minimum of 10%). You can then pay the remainder as monthly payments, with a loan duration of your choice. If you are able to come in to store we will complete the process via an in store terminal. It depends on the scheme that you select when making the credit application. If you choose the 0% finance option then you pay no interest on your purchase or you can opt for the low interest rate options over longer periods of time. 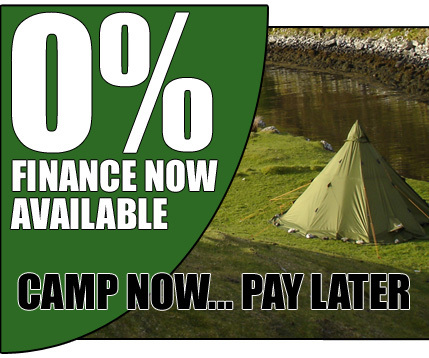 0% Representative Example: Helsport Finnmark Tent. Purchase price £1037, Deposit £103.70, Amount of Credit £933.30, 6 Monthly Repayments of £155.55. Total Repayable £933.30. Agreement duration 6 months. Rate of Interest (Fixed) 0%. 0% APR Representative. 4.9% Representative Example: Helsport Finnmark Tent. Purchase price £1037, Deposit £103.70, Amount of Credit £933.30, 24 Monthly Repayments of £40.85. Total Repayable £980.62. Agreement duration 24 months. Rate of Interest (Fixed) 4.9%. 4.9% APR Representative. Full finance details, including actual monthly repayments and total cost are shown within the application process. What if I have a bad credit score? The Omni Credit application process will check your credit record at the point that you submit your application. If your credit score is poor your application may be referred to an underwriter or even declined. If you feel this was in error then we recommend contacting Citizens Advice who will be able to help you understand your credit history and correct any errors. Will this application leave a footprint on my credit record? What happens if my credit application is rejected? Don't worry you will be still be able to use a credit or debit card, or PayPal to complete your purchase. Consumer credit service provided by Omni Capital Retail Finance. Omni Credit is licensed by The Office of Fair Trading (Consumer Credit Licence: 649286). Omni Capital Retail Finance is authorised and regulated by the Financial Conduct Authority, licensed by the Office of Fair Trading and a member of the Finance & Leasing Association.